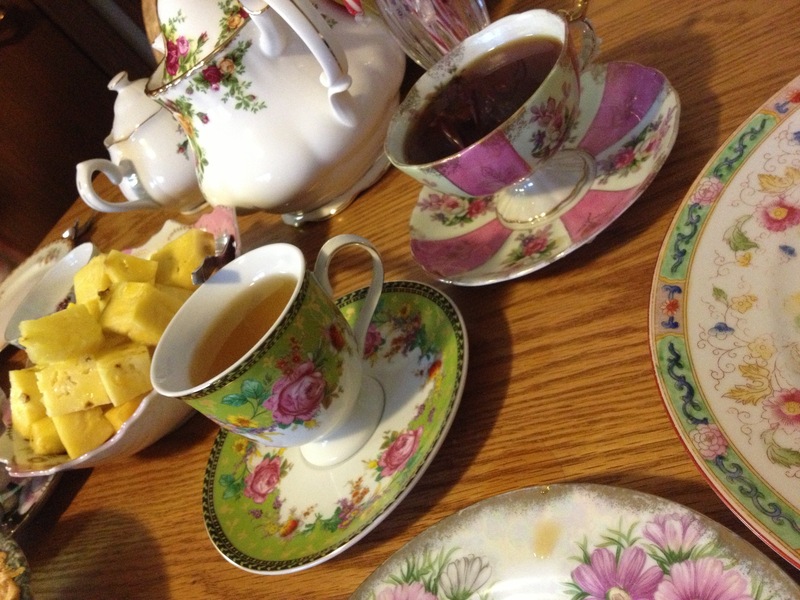 My friend had me over for lunch and tea on Sunday, and she provided china choices for all the dishes! 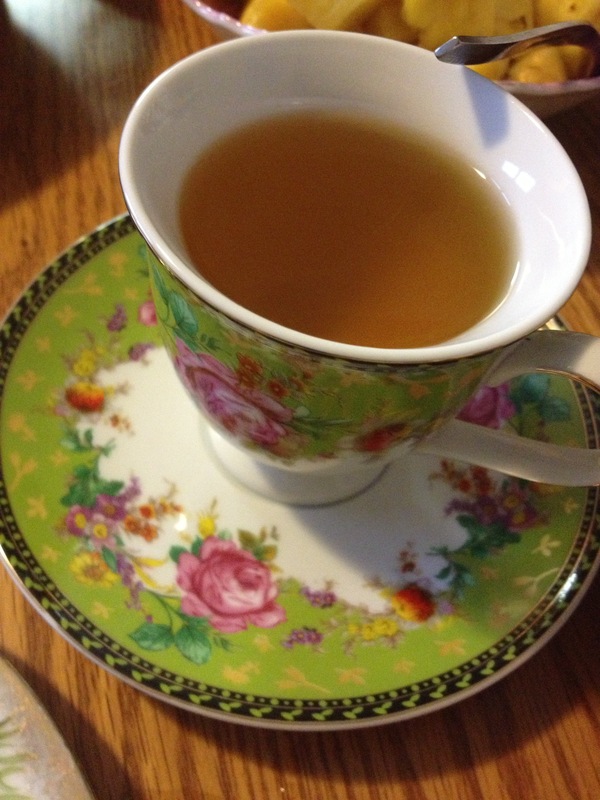 Ultimately, we each chose two elegant teacups (so we could drink lemon and ginseng tea and black tea) and had two plates. We spent the afternoon around the flowery dishes discussing our lives, Christian living, culture, relationships, politics, religion, history. The conversation provided the depth of talk I crave.